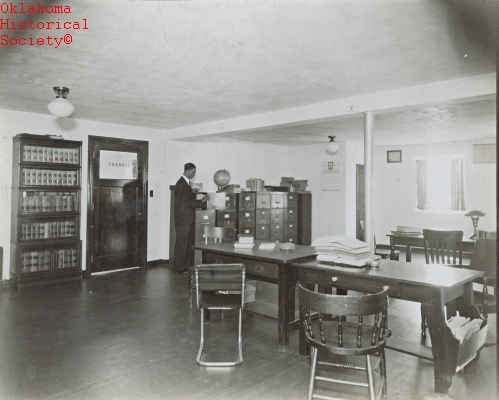 (16934, Oklahoma Historical Society Photograph Collection, OHS). (20699.02.197.067, State Museum Collection, Currie Ballard Collection, OHS). Segregation and racial discrimination have long histories in Oklahoma. From the inception of their movement into the Sooner State, blacks were subject to the racism of the times. For example, from 1889 onward blacks in Oklahoma Territory faced the same discrimination that they faced elsewhere, even in the old Indian Territory. The racial situation was further complicated because some African American promoters wanted to spur black colonization of both Oklahoma Territory and Indian Territory. Democrats constantly charged Republicans of trying to colonize blacks, and violence periodically flared in many areas. For instance, a white mob ran African Americans out of Lexington in 1892. A year later all the blacks in Blackwell left the town when threatened with violence. Poor whites "hounded" blacks in Ponca City, and masked raiders attacked African Americans in Lincoln County. Indian Territory, too, saw much travail, with African Americans being run out of many areas. Unable to completely rid their communities of African Americans, whites segregated those who remained. One focus was education. In brand-new Oklahoma Territory, for example, the First Territorial Legislature allowed counties the option of mixed or segregated schools, and almost all counties voted to segregate them. 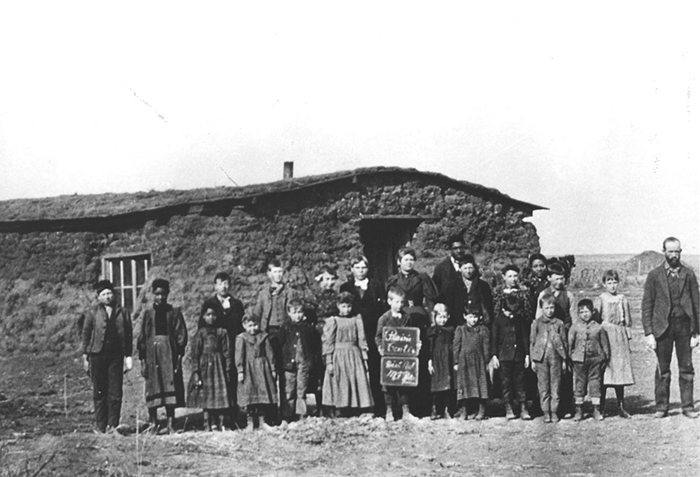 Early on, there were also some integrated schools in Indian Territory, but most were segregated. In higher education there were no racial restrictions at new colleges such as Oklahoma A&M and the University of Oklahoma. But changes came after the famous 1896 U.S. Supreme Court ruling in Plessy v. Ferguson, wherein the Court established the "separate but equal" doctrine. 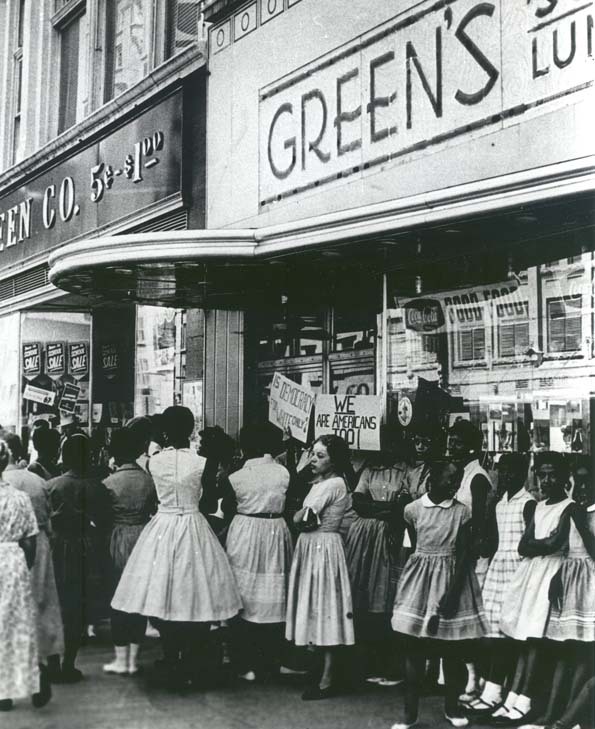 The decision gave the "green light" to those whites who wanted legally to segregate blacks. Consequently, the 1897 Oklahoma Territorial Legislature banned the practice of racial mixing in the schools. Slowly, segregation in most aspects of life began to evolve, sometimes by custom, sometimes by law. The 1907 Oklahoma Constitution did not call for strict segregation. Delegates feared that, should they include such restrictions, Pres. Theodore Roosevelt would veto the document. Once Oklahoma had Roosevelt's approval and was safely in the Union, the first legislature wrote segregation into law with Senate Bill Number One after first defining all people with any degree of African ancestry as black. The solons banned interracial marriages and miscegenation, both of which became felonies. State law also targeted ministers who performed ceremonies for mixed couples; they, too, could be charged with felonies. The legislature banned interracial schools at all levels. Many public facilities along with common carriers were segregated. Some 540 railroad depots in the state had to be altered to fit the new separate waiting rooms requirement, and new coaches also had to be added to the lines. Over time, legislators segregated everything from hospitals to housing to cemeteries to restaurants. In 1915 Oklahoma made national history by becoming the first state in the Union to segregate public pay telephone booths. Over the years, whites turned to the state courts as well as using economic pressure and violence to preserve Oklahoma's Jim Crow system. For example, between 1907 and 1930 lynchings by white terrorist mobs took the lives of dozens of blacks. The murder sites included Henryetta, Okemah, Purcell, Chickasha, Eufaula, Oklahoma City, and other places around the Sooner State. Although the last mob murder of an African American occurred in 1930, the black fear of whites lasted much longer, as did Oklahoma's era of rigid segregation. However, by 1941 cracks developed in the Jim Crow system when the Franklin D. Roosevelt administration insisted that African Americans receive equal treatment in all industries holding defense contracts. Oklahoma ranked eighteenth in the scramble to attract such contracts. More meaningful change came following World War II when the U.S. Supreme Court intervened on behalf of the budding Civil Rights movement. Two of its most significant human rights rulings came from racial issues in Oklahoma. The National Association for the Advancement of Colored People (NAACP) instituted lawsuits in a number of instances. In Sipuel v. Board of Regents of the University of Oklahoma (1948), the Court ruled that the black student Ada Lois Sipuel was entitled to a legal education in a state school. In McLaurin v. Oklahoma State Regents for Higher Education (1950), the Court ruled that the University of Oklahoma violated the Fourteenth Amendment when it segregated African American student George McLaurin on campus. Yet more change came in the 1950s and 1960s. Along the way, the Sooner State had its black heroes. One was Clara Luper, an Oklahoma City teacher who began the Oklahoma sit-in movement in 1958. For her work she is remembered as the "mother" of the state's Civil Rights struggle. Another is Roscoe Dunjee, a crusading newspaper editor from Oklahoma City. Many others led or supported the movement. They were legion, and they finally won. R. Darcy, "Constructing Segregation: Race Politics in the Territorial Legislature, 1890–1907," The Chronicles of Oklahoma 86 (Fall 2008). Arthur L. Tolson, The Black Oklahomans: A History, 1541–1972 (New Orleans, La. : Edwards Printing Co., 1972). James M. Smallwood, "Segregation," The Encyclopedia of Oklahoma History and Culture, https://www.okhistory.org/publications/enc/entry.php?entry=SE006.